Facebook is no doubt the highest ranked social networking site. You can’t take that away from them but you can make that work for you. With Facebook Profiles, Facebook Groups and Facebook Pages, you can drive traffic to your blog consistently. You might have read about how to do this with Facebook Profiles and Facebook Page but I’m here to show you how to use Facebook Group to drive traffic to your blog/website. This is easy to do. To get started, go to https://www.facebook.com/groups.php and click on “Create a Group”. Follow the steps to create your own Facebook Group. To get the best out of this group, you should use the name of your website/blog for the Facebook Group. After completing this, start inviting your Facebook friends on your Facebook Profile. Go to https://apps.facebook.com/blognetworks/ and then click on “Register a Blog”. Input all the necessary details as required. Make your blog as unique as possible. 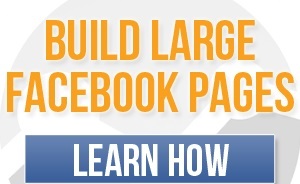 Go to https://apps.facebook.com/blognetworks/syndication.php you will see your Facebook Group and a box beside it. Check the box and click on the “Save” button. The benefit of what you have just learned is that as soon as you update your blog, the blog post is delivered to your Facebook Group. All you have to do next is keep inviting your friends to the Facebook Group. If you have any difficulty in achieving what we have stated above, you are free to get in touch with us by writing your needs in the comment space provided below.